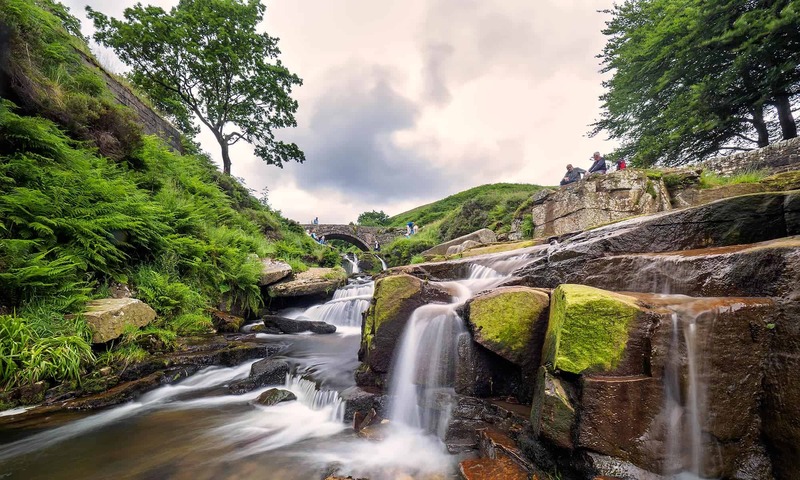 With careful planning Peak District SEO can help you outrank your competitors. We look at your site as a whole, analyse traffic data and search data to see which phrases your site is visible for. We target the valuable phrases and improve how your website ranks for those phrases. These graphics show improvements for keyword visibility for 2 clients over a 90 day period. Growth charts can often be misleading when showing growth over small periods of time. Showing traffic growth in a week or even a month doesn’t really demonstrate anything. Such charts could just be illustrating seasonal trends or the results of an online or offline promotion. This is why we always try to use a minimum of a 90 day period. This client had 2 main competitors, both ranked well in their niche. After carrying out careful keyword research, followed by an on-page SEO campaign, we were able to significantly dominate the competition in terms of keyword visibility. The client is positioned in a niche that is increasingly competitive. However, strong brand recognition makes them a market leader. ( Graphic shows visibility over a 90 day period). Client 2 also operates in a heavily saturated market. Rankings fluctuate for very competitive phrases. We raised their visibility by revising the titles and meta descriptions across the site and by improving the Internal linking on product pages and categories. ( Graphic shows visibility over a 90 day period). Keyword visibility is just part of SEO. Your site may rank highly for a number of phrases, but we also have to consider whether your site is actually offering visitors what they want once they arrive on site.